Before we get started today, I’d like to wish all my Canadian friends and rellies a wonderful and very Happy Thanksgiving. I hope you enjoy a beautiful long weekend celebrating your blessings with family and friends and I want you to know I’m very thankful for having you all in my life. Enjoy! 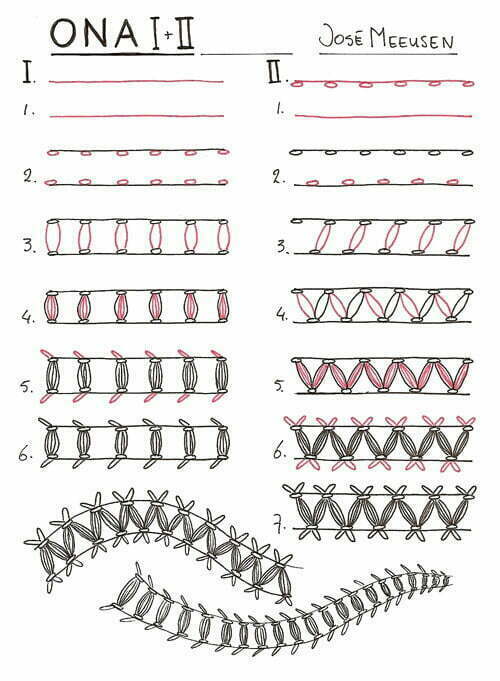 Ona is a tangle pattern from José Meeusen of The Netherlands, and it’s his first on the site. José illustrates the steps for drawing Ona below and gives two variations to get you started, noting “there are far more variations than the two I’ve drawn.” Fun, easy, pretty! Check out the tag josem for more of José’s patterns on TanglePatterns.com. This is so lovely. I am going to look forward to trying it out. a nice weekend for you all. Gorgeous effect, easy to learn and looks so complicated! Keep the new tangles coming! The embroidery style is certainly “drawn threads” and there are literally hundreds of patterns that could be easily adapted to ZIA. Depending on how coarse your cloth is, you might need to get stronger spectacles! Thanks Hannelore, Rita and Faith for the memory aide! Hannelore, I recall the word “hemstitch,” I wonder if that shows my age?” This is a very pretty pattern and I am anxious to try it. Thank you for sharing a beautiful pattern. I love Ona and I think the English word you are looking for is ‘drawn threadworm’. That should have said ‘open threadworm’ I’ve no idea what an ‘open threadworm’ would look like! Probably yucky!!! 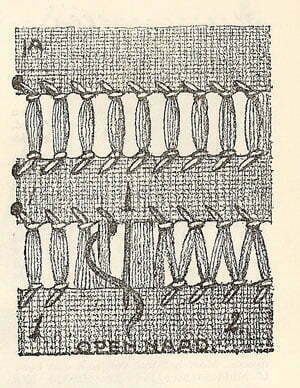 The technique is called drawn thread work, but the stitch is hemstitching. Creative tangle. This one makes me want to learn how to do the stitch!